Coin pushers: gateway gambling machine, disappointing old-fashioned seaside arcade amusement, or terribly modern entertainment sensation? It’s looking bizarrely like the last of those. There’s daytime ITV1 quiz show Tipping Point, in which Ben Shephard has an only slightly easier job than Noel Edmonds on Deal Or No Deal in convincing the viewer that there’s appreciable skill involved. There are a baffling number of them available for smartphones and online. And Sega has lumped RPG and collectable elements on top of one for this free to play effort. The collectable elements are monsters, from which you put together a team to take into battle. These monsters are of various elements, they evolve, and come in balls – in short definitely nothing like Pokemon. It’s all perfectly nicely done though, and getting rid of unwanted monsters by fusing them with others is enjoyable in an upcycling sort of way. The coin pusher-based battles are initially chaotic affairs, with as much skill involved as you might imagine. 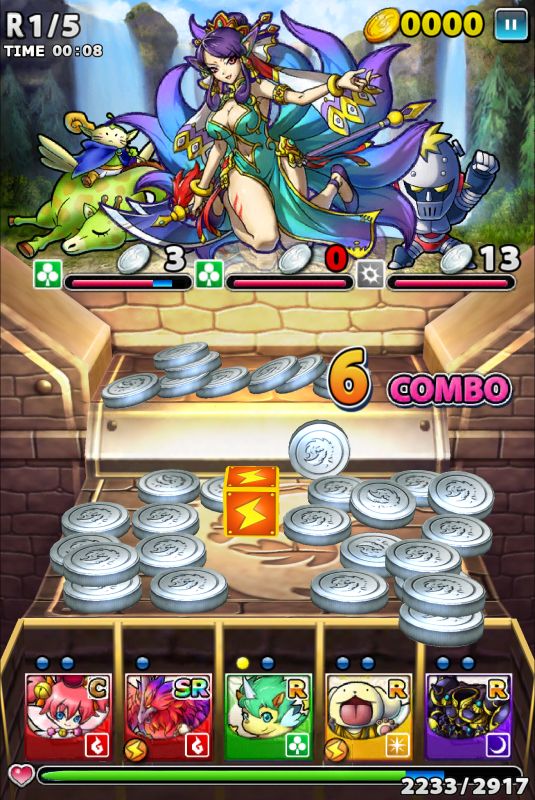 Your monsters line up along the bottom of the screen, and as coins fall into their slots, they attack. They also earn special moves, such as speeding up the pusher or showering coins on the stage. You drop coins onto the pusher, limited only by the fact that each enemy has a countdown, and after you’ve dropped that many coins, they attack. 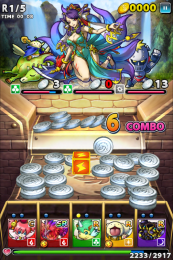 This doesn’t tend to happen much at the start though, as combos and defeated enemies make coins spew all over the stage, keeping itself going like a madly coloured perpetual motion machine. The obvious thing would be to write about Dsmvwld in the manner of its puzzles, omitting the vowels. On the plus side, that would end up looking a tiny bit like something uttered by Zombie Dave. But it would also be unhelpful to the point of perversion. 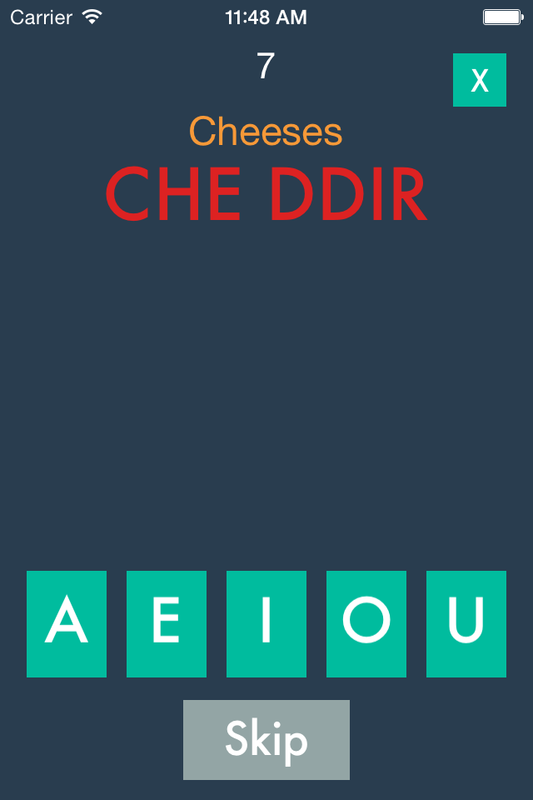 Your task is simple: put the vowels back in the words, names and phrases served to you. The only clue is a category, which changes every few puzzles. It’s a very slick interface, the vowels presented in a line, which just need to be tapped in the correct order to fill in the gaps. There’s no time limit; no punishment for mistakes, just tap another vowel to try again; and puzzles can be skipped at will. Challenge? Not so much. That’ll obviously be an issue for many, and you could almost argue that it’s not really a game as a result. But it’s weirdly compelling. The vast majority of the puzzles are almost immediately obvious; now and then, when you’re clueless about the category, it’s virtually impossible other than by sheer trial and error. But the odd puzzle will set your mind whirring for a couple of seconds, before a moment of absolute clarity. Perhaps the game should offer that moment more often, but the presentation minimises that criticism. The visuals are as clean and unobtrusive as they look in the screenshots, and being a paid app – albeit a cheap one – there’s no advertising, no clutter, no faffing around. 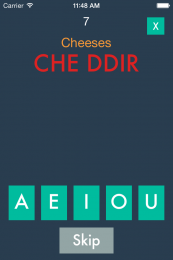 One puzzle follows another without delay, so there’s no chance to take a break: as soon as you’ve tapped in the vowels for one puzzle, it’s put another under your nose – so just do that one, then stop, yeah? And the category might change in a minute. They’re massively wide ranging, from vegetables to crime authors, and it’s strangely amusing when the game switches from one incongruous category to another. So rather than be annoyed at the lack of challenge, I’m left hoping that developer Ludometrics eventually adds some more modes of play – ones with time limits, or punishments. But in the meantime, it’s a very pleasant distraction – which, sometimes, is all I’m looking for. Have you seen just how many Flappy Bird clones there are on the App Store now? You don’t need to, because Stuart Dredge has been keeping a slightly obsessive eye on it for The Guardian. In short: lots. 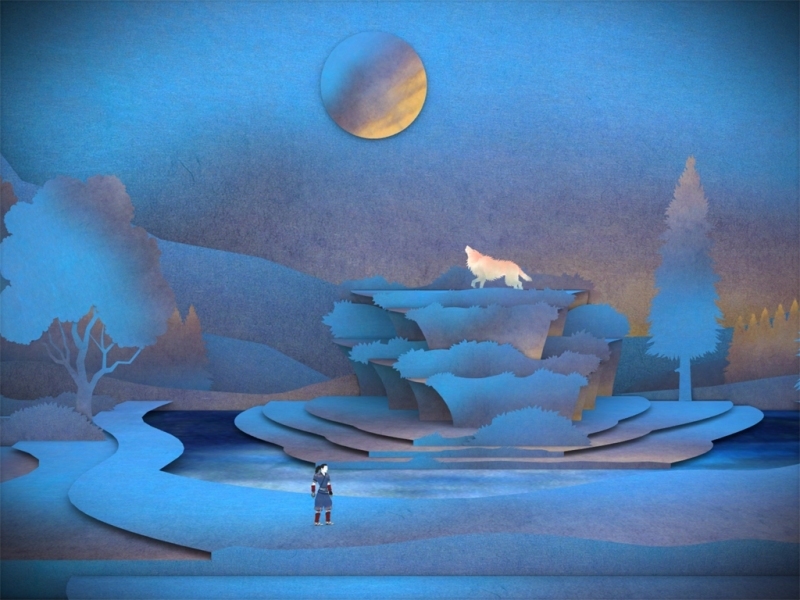 If Nyamyam had been so inclined, they might have renamed Tengami ‘Flappy Paper’. They might have got a few sales by association, but probably not the headline promotion from Apple that the game’s received. It’s just the sort of thing that Apple likes to give prominance to. The art style is mature and beautiful, rather than the standard cartoon world; it’s from developers with a bit of a track record – in this case, ex-Rare people; and of course it costs three quid, which can’t hurt when Apple takes a chunky cut of that. And anyway, ‘Flappy Paper’ would be an altogether inappropriate name – there’s nothing flappy about the paper in Tengami. The pop-up landscapes are precision folded, crisply opening and closing as you swipe, with impressively intricate detail. It’s an effective atmosphere, enhanced by the soundtrack, played on traditional Japanese instruments. But not enhanced by the game itself, which gives you too much time to think, and not enough to think about. It’s a slow moving game – literally. Literally literally. The protagonist walks at a leisurely saunter, which is in-keeping with the tone, but with fairly sparse landscapes doesn’t do much to keep your mind occupied. The puzzles, which are few in number even for a game which is over in a couple of hours, fall into three categories. There’s the odd nice puzzle, satisfying to work through logically. 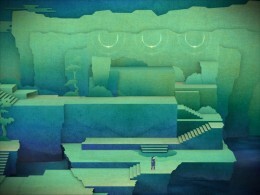 There are slightly laborious puzzles, which you’ll be a few steps ahead of, limited only by the slow pace of movement. And there are puzzles that are just a tiny bit obtuse – and in an arbitrary, rather than a clever way. With not quite enough stimulation on offer, I found myself pondering the inconsistencies in the mainly glorious presentation. Most page turns require a swipe across the screen, but a few don’t. The music occasionally takes a slightly darker turn, but without any noticeable change on screen. In that way, the lack of substance isn’t just a problem in itself, it actually detracts from what the game has going for itself – the style. It ends up feeling a bit empty. And then, abruptly, the game ends. You’d have to be either very dumb or incredibly naive to deny that Dumb Ways to Die is a blatant clone of Nintendo’s Wario Ware. Unlike many of the App Store’s copycats though, it’s very easy to look past the plagiarism on the account that it has clearly had a bit of love and attention put into it. 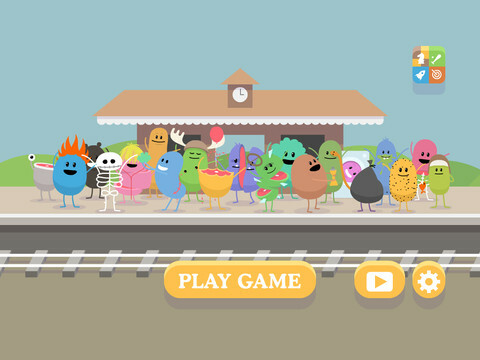 A little bit of history: Dumb Ways to Die began as a safety video from Metro Trains Melbourne to prevent stupid people from messing around on train tracks. Thanks to a daft sense of humour and lovable cast of characters the video went viral, spawning the game seen before you. There is still a hint of educational value present here, but don’t let that put you off. Like the game it imitates, Dumb Ways to Die offers a quick-fire burst of mini-games lasting just a few seconds each. Tapping, swiping and tilting the screen are common themes – tapping wasps off a little yellow chap’s face, wiping puke off the screen and keeping somebody upright by tilting your iDevice are just three of the tasks at hand. Every mini-game is as smartly presented as the last, complete with a few little nice touches here and there. We wouldn’t be remotely surprised if the centre of the cube contained a giant photo of Peter Molyneux. 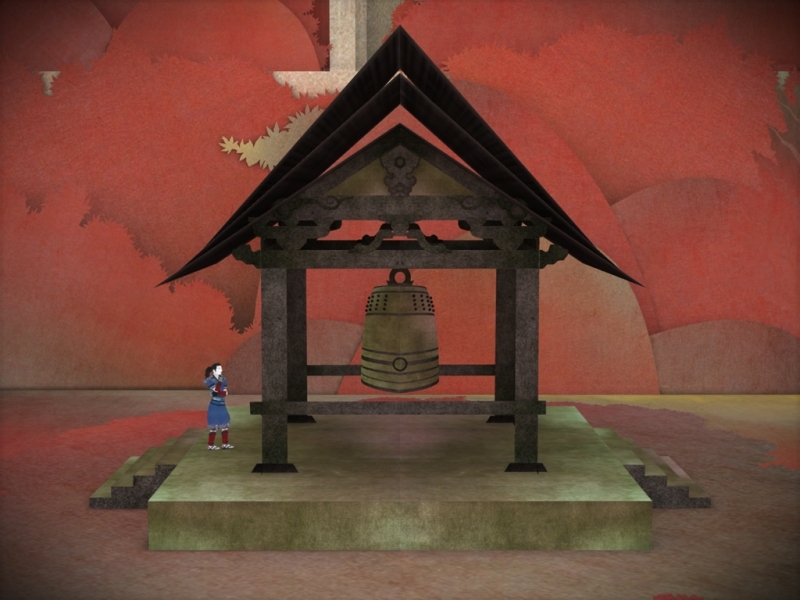 Though the game’s FAQ does suggest the contents of the center are displayed within a video. 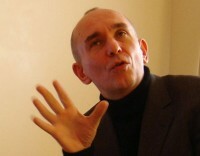 So, a video of Peter Molyneux singing and dancing, with waving jazz hands? No one would put it past him. But could the centre of the cube contain something even more inspiring? What could possibly be more inspiring? What could possibly be better than a cube? 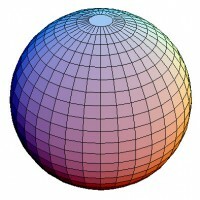 A sphere, that’s what. Sphere’s are much better than cubes. If Peter’s looking for a new avenue to go down after the success of Curiosity, we speculate that he could look into making a sphere tapping game. So, will the final cube tapper reveal a spherical sequel to the cube-based wonder? If we were to hazard a guess, we’d say… probably not. It’s an idea worthy of consideration though. Pete loves his 3D shapes. Knowing Peter’s odd sense of humour and the pleasure he takes in trolling the gaming community, some have speculated that the centre of the cube may just contain a Youtube link to Rick Astley’s Never Gonna Give You Up. In the event that this happens, we may have to refer to Peter Molyneux as a comedy genius and a brilliant man of our modern age. What else do you think could be inside the cube? Mobile games are released at such an unrelenting rate, that I don’t generally find pre-release coverage very helpful. If I can’t click through and buy it immediately, then there’s every chance I’ll have forgotten about it by the time it’s released. But it’s been a pretty lovely week for announcements. 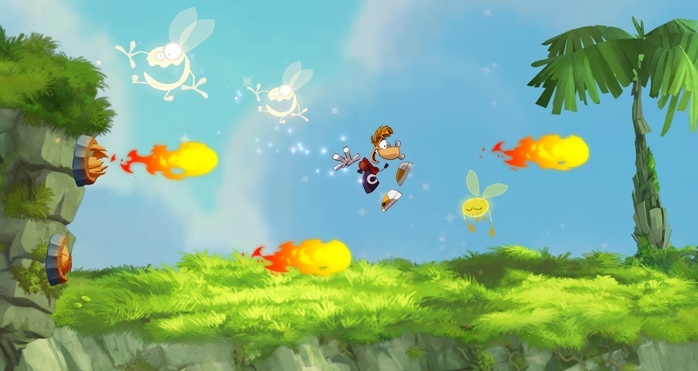 Everyone loves Rayman Origins, and it’s to Ubisoft’s credit that they’re not going to try to convert it to mobile. Instead, they’re using the same luscious UbiArt framework to create a new outing specifically for touch screens. Going by the trailer, Rayman Jungle Run is going to be similar to the treasure chase bonus levels in Origins. It looks like it will be an auto-runner, with the jumping, swinging and punching you’d expect from everyone’s favourite French limbless platform star. If the levels are anything like as expertly crafted as in Origins, and the controls are sensibly implemented, we’re in for a bloody treat. Release isn’t far away: 20th September for iOS and Android. It’ll be interesting to see the price, but I’d imagine it’ll be more Chillingo than Square-Enix. I couldn’t have put it better myself? Curious – in a very good way. Matters may be clarified when it’s released on iOS sometime this winter. Last month Google unveiled their entry into the tablet market, with the Google Nexus 7, the budget-priced 7” Android tablet that aims to surpass the Kindle Fire and potentially Apple’s iPad. 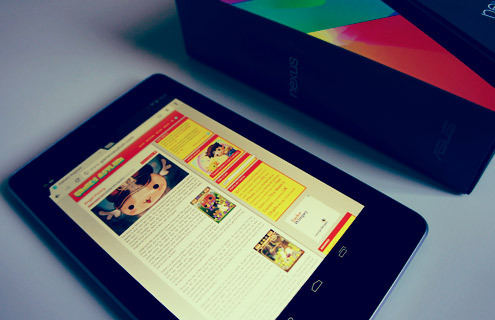 The Nexus 7 finally started shipping last week and I was lucky enough to take delivery of one on Wednesday. I opted for the 16GB model, which is selling for just £199, whilst there’s also a model with 8GB storage for £159 – both costing less than half the price of an iPad, with the 8GB model costing even less than a PS Vita. A few corners were cut to reach the sub-£200 price tag, namely the lack of a rear camera and SD card slot. The latter is a bit of a shame, as expandable storage has always been one of the nice perks of Android hardware, but life with a mere 16GB is manageable and I suppose we mustn’t grumble. Connectivity is limited to WiFi only, with no 3G option, if that’s something that matters to you. There are a few things which really set the Nexus 7 apart for me, and make it more than worthy of its price tag. Firstly, the fluidity of the user interface. Google have spent a lot of time working on the response time of the Android UI, working on what they call “Project Butter” for the latest version of Android (codenamed Jelly Bean). As a UI designer myself, I was really impressed to see the lengths Google’s Android team went to in an effort to make everything so responsive. In addition to including a special low-power CPU (in addition to the main quad-core CPU) to make wake-up times instant, they used RED cameras to measure the UI response time down to the millisecond, to ensure the whole interface felt silky smooth. Also it doesn’t hurt that now everything’s hardware accelerated on the GPU. The end result is a UI that feels incredibly responsive, moving quickly and precisely, giving the impression that the Nexus 7 is doing everything absolutely effortlessly. This is the first time I’ve felt like Android has actually surpassed Apple’s iOS in terms of interface and that subjective software quality that just makes the whole package feel so solid. 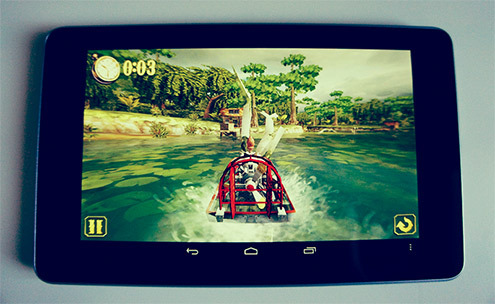 So Android and the Nexus 7 work together harmoniously, but what about gaming? Well, that’s the other reason I think the Nexus 7 makes a formiddable little gaming device. It just so happens, that ergonomically seven inches work surprisingly well. If you’ve experienced trying to play traditional games on an iPad, holding it in your hands like a giant controller, the experience is… a little like holding a big plate. It’s too big, a little difficult to hold, and it doesn’t take long before the weight becomes a little too much for your limp wrists. The Nexus 7 however is about half the size of an iPad (though more than half the screen size) and half the weight. It’s comparable to a Kindle – so you can easily hold it one handed to read a book, without it ever feeling too heavy. Like the Kindle it also has a nice rubberised backside, which feels nice and always provides a great grip. What does all that have to do with gaming? Well, when holding the Nexus 7 in landscape mode, it’s almost the same width as a PS Vita. Obviously it doesn’t have the analogue sticks or buttons, and virtual buttons are never quite perfect, but holding a Nexus 7 isn’t unlike holding a PS Vita – or as Google themselves said, it’s “like holding a Sega Game Gear” – which makes the Nexus 7 a surprisingly good little gaming device. Being Android, the whole operating system can be as customisable as you want it, so if you really feel the need to tinker with things, it is actually possible to connect a regular control pad to the Nexus 7 using Bluetooth or USB. You can run emulators on it too, so it’s quite an impressive little gaming device. As good as the device is though, it needs great games to be a great games system. That’s where things get a little muddy – and this is true for all Android devices. Whilst Android is a wonderfully open system, free for practically anyone to publish on, it’s still lagging behind Apple’s App Store for great games. Many of the big hits are available on both platforms, but due to rampant piracy and a general reluctance for many Android users to pay for games, developers still favour iOS. That’s slowly changing, but it still remains an issue. That’s not to say there aren’t any good games to play on Android. Most of the “obvious” mobile games are available on Google Play, such as Angry Birds, Cut the Rope and Where’s my Water?, whilst there are quite a few console-quality games too, such as Shadowgun, Minecraft, Grand Theft Auto III and Football Manager 2012. Considering such games could easily retail for £20 or £30 as PS Vita games, downloading them from Google Play for a pound or two is a bit of a steal. As a tablet for web browsing and email, the Nexus 7 is arguably the best on the market, if you’re fine without a 3G connection. The latest version of Android feels incredibly slick and frankly rather good, and a tablet with an Nvidia Tegra 3 chipset for under £200 would have been unthinkable just six months ago. Solely as a gaming device, the Nexus 7 shouldn’t be your first port of call, but it certainly doesn’t disappoint in that department. In fact if you like the idea of getting your hands dirty and installing emulators, it actually makes a brilliant retro emulation machine. As a package, it’s just a remarkably nice and likeable little thing.